Are You Shitting Me? THE LORAX Used To Sell SUVs | Birth.Movies.Death. Universal's new Dr. Seuss movie about environmentalism teams up with an SUV manufacturer. For real. Sometimes I feel like satire is dead, and that's because everything in this world is so insane and screwed up that making fun of it feels redundant. I mean, imagine if someone took The Lorax, Dr. Seuss' strong pro-environment, anti-greed book, and used it to promote a gas-guzzling SUV? I mean, that's the stuff of Saturday Night Live sketches and cynical, dystopian cyberpunk novels. That is real. Not a parody. Not a joke. That's a Mazda SUV driving through a Seussian truffala forest. The CX-5 gets 'decent' mileage for a vehicle of its class - ie, a class of vehicles that is too big and too dirty in general - but even still, the idea that a vehicle with a combustion engine would be getting the Lorax seal of approval is simply offensive. I'm not saying that these vehicles shouldn't exist, simply that it's hideous to have one of the strongest pro-environment stories being used to sell SUVs. It's dumb advertising, if you ask me. It hurts the message of The Lorax in a big way, and it makes Mazda look like hypocritical creeps. 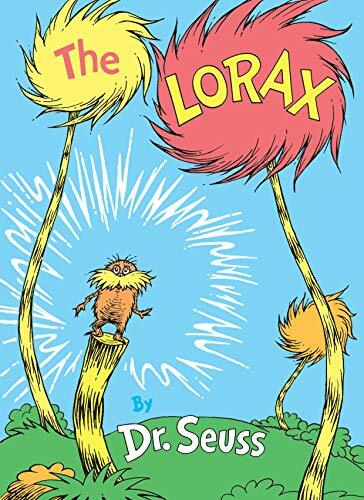 The whole thing is tone deaf and ugly, and will strike a bad chord with anyone who is familiar with what The Lorax is about.